O blessed couple, Joachim and Anna, all nature is indebted to you! 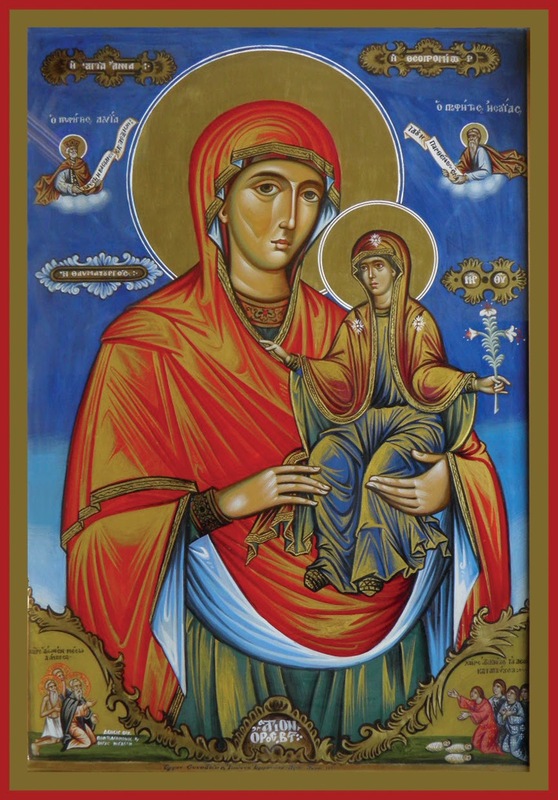 For through you it has offered a gift to the Creator which is more excellent than all other gifts: a holy mother who alone is worthy of the Creator. O most all-blessed loins of Joachim, from which a wholly unblemished seed was sent forth! O renowned womb of Anna, in which slowly, with additions from her, an all-holy infant grew, and once it had taken shape, was born! O belly that contained within itself a living heaven, vaster than the immensity of the heavens! O threshing floor which contained the heap of life-giving grain, since Christ himself declared: “Unless a grain of wheat which falls into the earth dies, it remains just a single grain ...” (John 12.24). O breasts that suckled her who fed the Feeder of the world! O marvel of marvels and miracle of miracles! For it was necessary that the ineffable and condescending incarnation of God should be prepared by means of miracles. But how shall I advance further? My understanding is confounded, while fear and longing have divided me. My heart quakes and my tongue has been paralyzed. I cannot bear my happiness! I am overcome by miracles! I am possessed by longing! Let longing be overcome! Let fear be banished! Let the harp of the Spirit sing, “Let the heavens rejoice and let the earth exult!” (Ps 95.11).